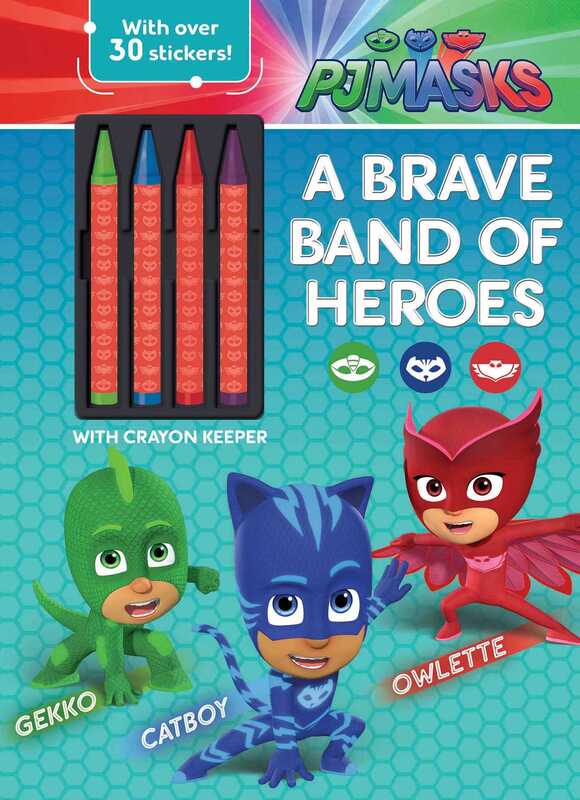 Super-fun coloring and activity books for PJ Masks fans with 30 stickers and 4 oversized chunky crayons. Join Catboy, Owlette, and Gekko on their nighttime adventures to save the day. This 48-page coloring and activity book comes with 30 stickers and 4 oversized chunky crayons in a crayon keeper to help defeat Luna Girl, Night Ninja, and Romeo while having some super-sized fun!